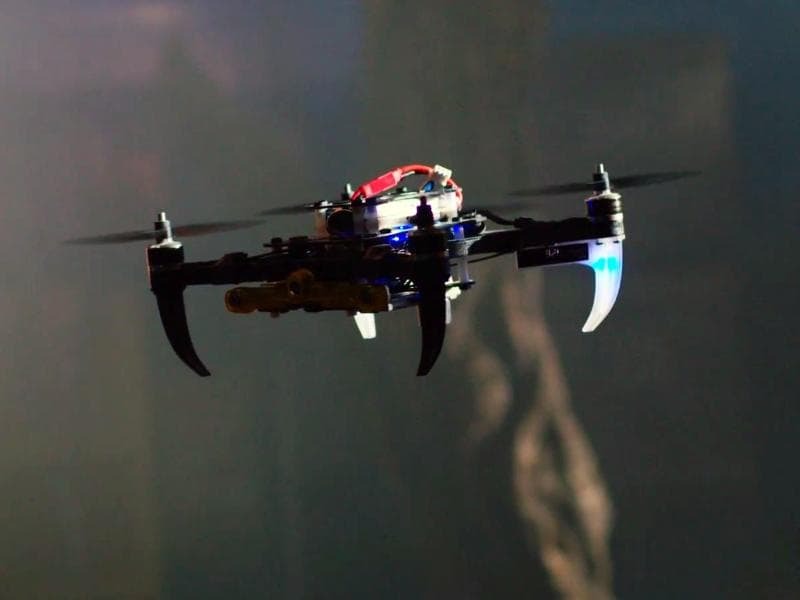 Chip making company Qualcomm, of the Snapdragon mobile processor fame have released a video that gives us a preview of their Snapdragon Flight drone, which they had announced back in September 2015. Few days ago, we had told you about Apple’s drones which can be controlled using hand gestures. The drone by Qualcomm seems one step ahead as this drone will be autonomous. Meaning, it will be able to detect the obstacles and dodge them on its own when in autonomous mode. Qualcomm in September announced the Snapdragon Flight which is a single development board that will have the Snapdragon 801 SoC and GPS navigation with obstacle avoidance and real-time flight control. The Snapdragon 801 has quad core 2.26 GHz CPU, Adreno 330 for graphics and individual image and video processing capability. The remote control and communications is possible thanks to the Wi-Fi connectivity, Bluetooth 4.0 and global satellite navigation. The camera attached to the drone has the ability to record both 4K and 720p recording and encoding, video stabilisation and image enhancement. The video shows that how the camera along with the sensors attached to the drone use the 3D mapping technology to avoid obstacles and to perform the motion planning. Sensors like the barometer is also attached to the drone to calculate pressure sensitivity thus enhancing the motion planning. The Quick Charge technology by Qualcomm will allow the drones to charge rapidly between flights thus allowing a longer in-air time. This design by Qualcomm can be used by developers to employ further enhancements as per their requirements. The cost and other functionality details of the drone aren’t yet available. Rumours suggest that the actual working model will be available for release some time in the first half of 2016. It is expected that Qualcomm will release the actual details when they actual unveil the drone in CES 2016.